Mrinal Sen, during the course of his illustrious filmmaking career, has been one of the greatest ambassadors of Indian cinema on the global stage. 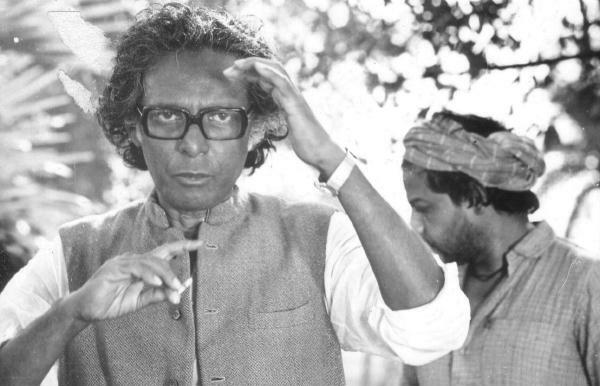 Along with Satyajit Ray and Ritwik Ghatak, Mrinal Sen pioneered the parallel cinema movement in India, as a counterpoint to the mainstream fare of Hindi cinema. Sen's cinema is primarily known for its artistic depiction of social reality. Without doubt, Mrinal Sen is the greatest filmmaker alive. He also features amongst the foremost luminary figures of our country. Sen is one of the very few filmmakers to have won an award or recognition at all the major cinematic forums. In addition to a barrage of National Awards, Mrinal Sen's immensely thought-provoking films have been recognized at Cannes Film Festival (Jury Prize for Kharij, 1983), Berlin International Film Festival (Grand Jury Prize for Akaler Sandhane, 1981), Venice Film Festival (Honourable Mention for Ek Din Achanak, 1989), Montreal World Film Festival (Special Prize of the Jury for Khandhar, 1984), Moscow International Film Festival (Silver Prize for Chorus, 1975), Cairo International Film Festival (Silver Pyramid for Best Director for Aamaar Bhuvan, 2002), Chicago International Film Festival (Gold Hugo for Khandhar, 1984), etc. In 1981, the Government of India awarded him with the Padma Bhushan. In 1985, President Francois Mitterrand, the President of France awarded him the Commandeur de Ordre des Arts et des Lettres the highest civilian honour conferred by that country. In 2005, he was conferred with the Dadasaheb Phalke Award. In 2000, President Vladimir Putin of the Russian federation honoured him with the Order of Friendship. Regarded by many as Sen’s greatest film, Bhuvan Shome's sardonic humour and its realistic depiction of rural India made it a landmark of Indian cinema. In his Calcutta trilogy, Sen explored the civil unrest in contemporary Calcutta through stylistic experiments and fragmented narratives. Sen examined middle-class morality in his films Ek Din Pratidin and Kharij. A recipient of countless national and international film awards, Sen was instrumental in drawing youth to theatre as a member of the Indian People's Theatre Association. Unlike his contemporaries, Sen succeeded in breaking the language barrier by making films in languages other than Bangla. Some of his prominent films are in Oriya and Telugu, as well as in Hindi. Sen is regarded as the pioneer of political cinema in India. Before Sen, filmmakers usually stayed away from politics, thinking it to be a taboo subject. But Sen never eschewed from depicting the unrest, angst and deprivation of the Indian society. And perhaps that's what inspired his successors to make films heavily laced with socio-political commentary. Today, at the age of 93, Mrinal Sen continues to be a great source of inspiration for the students of cinema. He is not only idolized by filmmakers but artists from different disciplines. Sen's formidable body of work today stands tall amongst the greatest oeuvres in world cinema. Mrinal Sen is a living legend and a modern master of cinema. Recipient of civilian honors like Commandeur de Ordre des Arts et des Lettres (conferred by the French President) and Order of Friendship (awarded by the Russian president), Mrinal Sen is highly deserving of India's highest civilian honor and it is high time he is conferred the Bharat Ratna.